Course evaluation: Students by way of course evaluation studies (mid-term evaluation and final evaluation) evaluate the study program annually. These evaluations are included in the university’s quality assurance system. The objective of the course: The course focuses on developing knowledge about opportunities for value creation in the High North, as well as on an international dialogue between interested parties concerned with High North. Rapid climate change, business development, and international cooperation in the High North mean that more knowledge is needed. Also, the High North is a region where new opportunities to exploit natural resources, new trade routes and increasing human activities may have major consequences for the environment and society, and there is a great responsibility to ensure sustainable management of region’s business and societal development. Different debates include discovery, access and use of mineral and hydrocarbon resources in the Arctic, possibilities for new maritime routes, cross-border cooperation, fisheries, opportunities for Arctic tourism development, as well as the support of indigenous communities and human resources in High North. The scenario workshop is an important part of the course. During the scenario workshop, students will learn about different methodologies for scenario building and use one of them to produce scenarios on a predefined topic, working in multidisciplinary groups. In advance, students will be given a specific scenario topic developed by relevant stakeholders in the Arctic and relevant for the High North Dialogue conference. As the part of education activities, Master students will take part in the High North Dialogue Conference organized by High North Center at Business School. The focus of the conference is dialogue: the dialogue between young people and the Arctic regions’ representatives from industry – ranging from maritime to land- based industry, authorities and academics to share information and discuss the best practices to tackle challenges in the region. 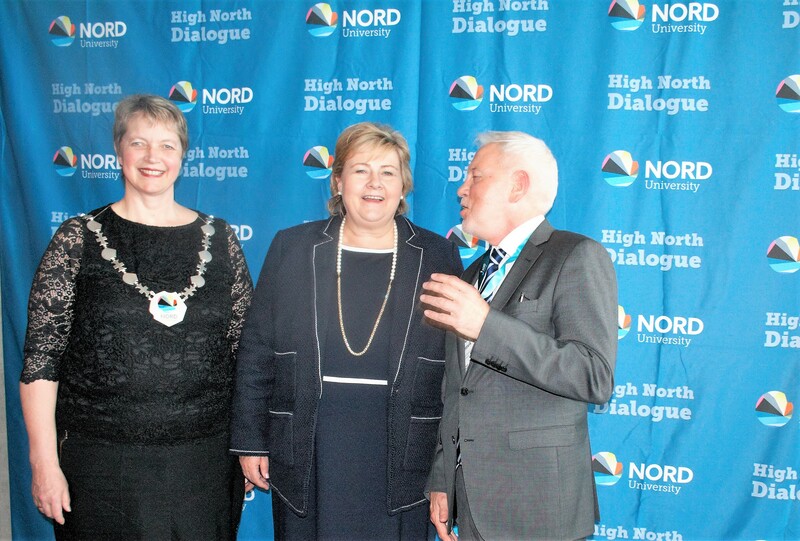 For an updated version of the conference program, please visit www.highnorthdialogue.no. Prerequisites: Qualifications equivalent to a Bachelor degree. Costs: The graduate course fee, the conference fee, and meals during the events will be covered by Nord University Business School. Students will have to cover visa and travel costs themselves. Accommodation grant. We can offer accommodation in a student hostel during March 31 – April 6, 2019 in rooms for to-three people, to a limited number of students. This will be distributed to the first students who apply and send enrollment documents before December 10, 2018. Please note that places are limited, so early application is advised. How to apply? Students of Nord University apply via STUDWEB, course EN313E. A confirmation of English language skills: TOEFL, IELTS or FCA certificate. Does not apply to Nordic countries, US, Canada, UK. Does not apply if the bachelor studies had English as the language of instructions. Important: If the original documents are not in English/Norwegian, they should be translated into English. Translations are to be verified by a Notary. For more information about English language for different countries, please see the GSU-list. * Students from Canada should arrange that copies of their bachelor diplomas with transcripts of records are sent from the educational institutions in a sealed envelope directly to Nord University. ** Students from USA should arrange that copies of their bachelor diplomas with transcripts of records and copies of their high school diplomas with transcript of records to be sent from the educational institutions in a sealed envelopes directly to Nord University. Address: Elena Zhurova, NOS, Nord Universitet, Postboks 1490, 8049 Bodø, Norway. Students will be notified about their enrollment and grants within February 21, 2019. They will receive a confirmation letter with practical information. There will be given a code, with which students register for the conference at our website, section Registration. Bourmistrov, , Mellemvik, F., Bambulyak, A., Gudmestad, O., Overland, I. and Zolotukhin, A. (eds) International Arctic Petroleum Cooperation: Barents Sea Scenarios, Routledge Studies in Environmental Policy Series, Routledge. Amer, , Daim, T. U. and Jetter, A. (2013) “A review of scenario planning,” Futures, 46, 23-40. Claes, H. and Hveem, H. (2016). From Paris to the End of Oil. Politics and Governance. 4(3), pp. 197- 208. Crépin, -S., Karcher, M. and Gascard, J.-C. (2017). Arctic climate change, economy and society (ACCESS): Integrated perspectives, The Royal Swedish Academy of Sciences. Angelidou, (2014) Smart city policies: A spatial approach, Cities, Volume 41, Supplement 1, July 2014, pp. S3-S11. Kummitha, K. R. and Crutzen, N. (2017) How do we understand smart cities? An evolutionary perspective. Cities, Volume 67, July 2017, pp. 43-52.